Celebrating a 50th birthday isn't complete without a cake to highlight the milestone age. Choose one that makes it obvious to all what the celebrant's age is on this special day, by making a cake in the shape of the number 50. Decorate the numbers to match the party decoration colors or a secondary party theme. With age comes wisdom, or so the saying goes. Make sure everyone at the party knows that the birthday boy is the wisest of them all on his 50th birthday by choosing a cake with an owl theme. This is also a good option for someone in education or who likes birds. Sheet cakes are perfect for feeding a crowd and they make decorating easy. Simply write your message in the middle and add decorations around the message, whether they are small number "50s," stars, or flowers. 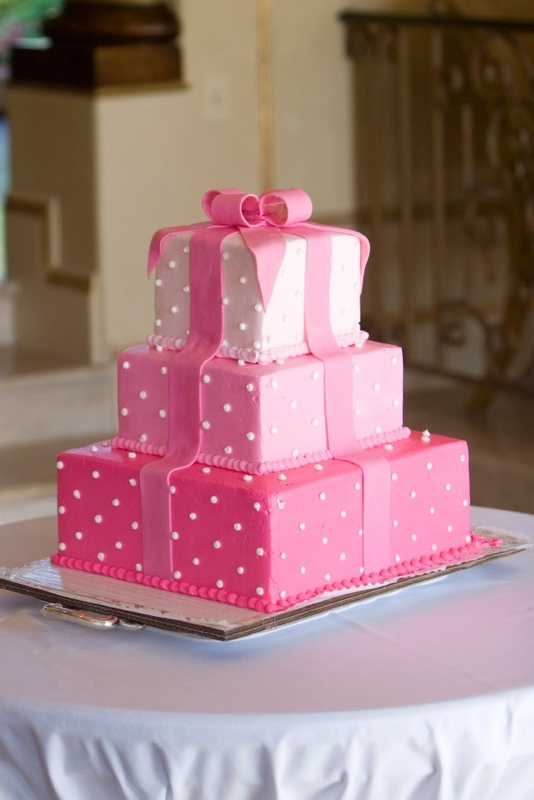 Black and white cakes have a classy look, so use the colors to your advantage when planning a 50th birthday cake. Make the design an elegant geometric stack or a traditional quilted one; whatever shows off the sophisticated nature of the birthday man or woman. Wine aficionados will enjoy a cake that highlights their love of vino and their birthday. A cake that resembles a favorite red, white, sparkling or rosé vintage is sure to let her know that she's aging like a fine wine! Nothing personalizes a cake more than having a minature version of the birthday man or woman sitting on it. Skilled decorators can use modeling fondant to create a figurine that represents the celebrant. The figure can then be perched atop the cake or become part of a larger scene highlighting the celebrant's favorite activities. Women (and men) who have a flair for fashion will love a cake that celebrates their sense of style and celebrates their move into the fabulous 50s. Bright pink and black zebra stripes, cheetah prints, high heels, purses, and other iconic images from the world of fashion perfectly celebrate anyone's stylish ambitions. Rock and roll was king in the 1960s and 1970s, when the birthday person was growing up. Highlight their love of the old tunes with a cake that showcases their favorite performers, songs, and records. A few hippy and hip images tie the cake's theme together. Trendy bakeries often have the option to print photo images onto edible sheets that can be used on cakes. Celebrate the birthday boy or girl through the years by adding edible photo images of his youth to a cake that is highlighted with icing or fondant in his favorite colors. People turning 50 are often setting out into a new chapter in life. Help them sail into it by choosing a nautical cake design that really floats their boat. No matter what kind of 50th birthday cake you choose, whether it is a celebration of the birthday woman's life or a fun over the hill birthday cake, every crumb is sure to be eaten before the party ends.